I love all types of books, but I’m a pop fiction writer pure and simple. So when I get the chance to celebrate other pop fiction writers it’s like kicking it with fam. Debbie Rigaud and I seem to have lived parallel lives (sort of) when it comes to writing – writing for teen mags and then jumping into YA fiction. Except she’s done it full-time (lucky!) and she lives in sunny Bermuda while I’m trapped here in Maryland in the midst of a second (yes, I said second) blizzard. BBS: Although I may know the answer, simply based on your past work with magazines such as Seventeen, YSB and CosmoGirl why Young Adult fiction? Did you pick it or did it pick you? Back then, it wasn’t so much for therapy that I closely documented the episodes of my life. I held this hyper-awareness that my writing could serve other teens down the line, namely my kids and grandkids. I had this idea that my stories could not only entertain, but may guide, advise, comfort or educate. I also imagined my future self referring back to my diaries whenever I’d lose sight of how it felt to be a tween, teen or young adult. My senior year in high school was my first indication that a wider audience could enjoy my writing. That’s the year I won scholarship prizes from writing contests. 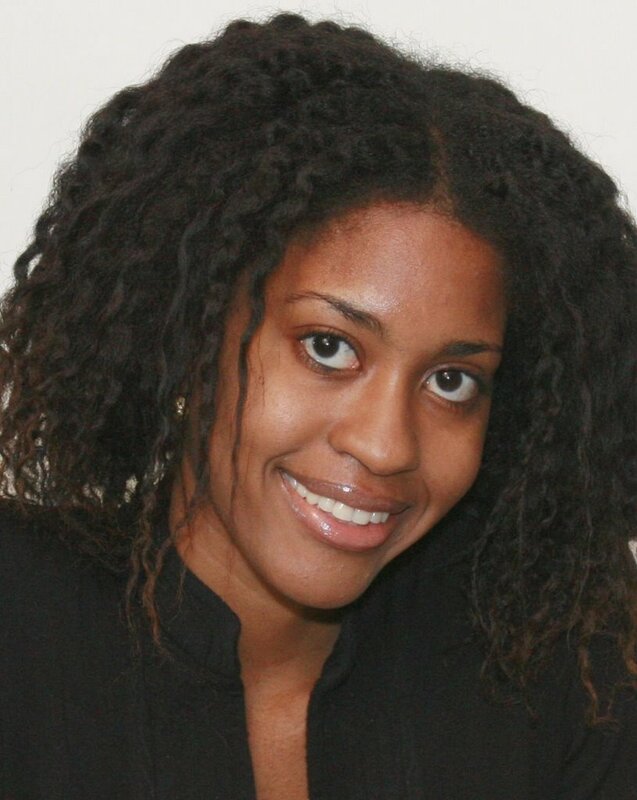 By the time I was in college, I had published my first article in a national teen magazine. It was a service piece about AIDS prevention for BET’s YSB Magazine. From there, I bonded with the YA audience. I looked out for my readers like any big sister would. When I decided to transition to fiction writing, the YA genre was a perfect fit. BBS: Perfect Shot is your latest novel, but your YA fiction debut was with the Hallway Diaries, a Kimani Tru anthology. What characters are you bringing to the table, in both books, that are missing from the YA arena? DR: Hallway Diaries was expressly packaged to offer Black and Latino readers age-appropriate stories about multicultural characters. I was excited to contribute my novella Double Act to the anthology. I think the message, “You are not alone,” is a powerful one. There’s something validating to a reader when she sees herself or her experiences represented in literature. I keep this in mind as I create my characters. Mia,the protagonist in Double Act is a city girl whose identity is caught somewhere between her private school in the suburbs and the double Dutch team in her neighborhood. Perfect Shot’s London Abrams has the talent to back up her volleyball ambitions,yet it’s the competition happening off the court that shapes her character in ways she never imagined. Whether we are or know a Mia or a London, as a people, our stories are so varied. It’s an honor to expose readers of all backgrounds to different slices of African-American life. BBS: Although there’s a definite increase in the number of books like Perfect Shot and Hallway Diaries available, there is still a gaping hole where break-out success is concerned when it comes to commercial fiction revolved around a character of color (I’m thinking along the terms of a Meg Cabot). Why do you think publishing still has not taken a real chance on these kinds of books? What will it take? DR: It may be that publishers play it too “safe,” just to secure that bottom line. But at the same time, I think publishers are finding it tougher to ignore what readers want. An example of this is the troubling whitewashing trend. Thanks to strong reader reactions (Yay, book bloggers! ), we’ve seen publishers rectify misleading cover art! So, it’s up to readers to set the tone by showing their support for those books that have the potential to be break-out successes. I know that with Perfect Shot, Simon Pulse will be watching to see how the book performs as compared to the other ro-coms in the series. That’s why I’m campaigning for readers to post reviews of Perfect Shot on amazon. As of now, there are none. I’m hoping my readers make a few waves to show my publisher that there is commercial viability for Black ro-com characters. BBS: Is life in Bermuda like a perpetual vacation? (*daydreams about what it must be like) How does living outside of the states impact how you promote your books? Advantages? Disadvantages? DR: LOL! It definitely has the most inspiring scenery a writer can ask for. But you’d be surprised at how corporate the vibe can be on this island. It’s a major financial center and people are busy worker bees buzzing around on scooters in Bermuda shorts and knee-high socks. My husband and I moved here a little over two years ago (thanks to his new job) and it’s been fun. We had never been to Bermuda before then, so it’s crazy that we’re now residents. I wrote Perfect Shot in its entirety here and I’m also promoting it from here. Thank goodness for the Internet. I’m grateful to be a part of the Girlfriends Cyber Circuit (GCC), a popular YA author blog collective. 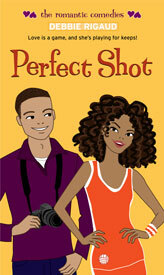 I went on a GCC blog tour when Perfect Shot was released. The exposure and support I get through the GCC and AuthorsNow, of which I’m also a member, is invaluable. And I’ve been able to engage with readers here on the island as well. I visit schools and hold writing workshops and have received so much support from Bermudians. Bermuda is less than two hours from New York, so I visit home often. But I don’t get to do Stateside school visits and booksignings as much as I would had I not lived abroad. BBS: You’ve been a full-time writer your entire career. Quick, what’s the biggest myth when it comes to how great life is writing full-time? BBS: Now, name one or two things that are actually pretty cool about writing for a living. DR: The flexible schedule; connecting with your characters and your readers. BBS: What’s next in the pipeline for you (YA fiction-wise)? DR: I’m working on another YA romantic comedy, as well as a humorous YA novel about a Haitian-American teen’s overprotective life. It’s also been a lifelong dream to write a middle grade series based on my mother’s hilarious and heartwarming stories about growing up in Haiti. I plan on finishing that manuscript this year. BBS: Contract or free agent, which do you prefer? DR: At this stage in my career I’ll go with contract. I still feel like a rookie author, so a deadline-driven schedule works wonders for me. “I held this hyper-awareness that my writing could serve other teens down the line, namely my kids and grandkids.” – I love this. Sooooo, we all have a place to stay in Bermuda, right? This was such a great interview with Debbie–but I keep focusing on how jealous I am because I don’t live on a tropical island. I love that cover for Perfect Shot. Now, THAT’S some hair. I was so glad to see the KimaniTru series, and yeah, we need a Meg Cabot for young adults of color. I’m nominating Ms. Rigaud! And if it makes any of you feel better, Bermuda is more sub-tropical than tropical. It’s far from beach weather this time of year. *yeah, we need a Meg Cabot for young adults of color. I’m nominating Ms. Rigaud! * – Tanita, can I print this on my next book cover? Cool interview! Thanks for your great work, Debbie. And Bermuda? Nice. I’ve just been there once, but it ranks as my favorite vacation spot. I’ll post a review on Amazon asap! Thanks for this interview 🙂 I think Paula and Debbie could indeed be our Meg Cabot. Debbie your WIPS sound awesome,can’t wait but no pressure! Please send me an e-mail. We would like for you to speak to some students at CedarBridge Academy. Please send me an e-mail. I tried to e-mail you it wasn’t successful.